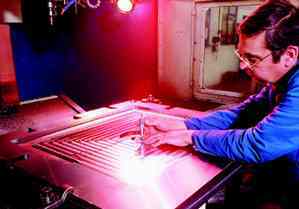 Whatever machining you require, Polydon promises it will be right. A fully equipped modern machine shop contains the very latest CNC machining and turning centres. These large multi-tooled machines are linked directly to our CAD/CAM systems, improving the efficiency of production control and reducing time and costs. These technologically advanced machines are supported by a full compliment of more conventional machines ensuring Polydon can handle all complexities and sizes of components with equal efficiency. We retain absolute quality control by the full implementation of our quality plan, utilising our CMM equipped Standards room.